For this election, “local candidates” include offices in the County government, District Court, and the Thurston Public Utility District. As I have noted in the prior pieces of this series, a good starting place to familiarize yourself with the candidates is the online voter’s guide. This is an online version of the paper one you probably received a week or two ago. The online version, however, includes links to campaign web sites and campaign financing details. Among the offices within County government there are only three positions where there is a contest between two candidates. The race for Commissioner of the Public Utility District also has two candidates. For the other five non-judicial positions, the incumbent is running unopposed for reelection. Let’s focus our attention first on the races that involve actual contests between two candidates. These are the Auditor, County Commissioner (District 3), Prosecutor, and Commissioner of the Public Utility District. The incumbent is Mary Hall, a Democrat. Hall was first elected Auditor in 2013 and she is running for re-election. The challenger is Stuart Holmes, an Independent. It may be worthwhile to take a pause here and point out there are no candidates running for the County’s partisan positions who describe themselves as Republicans. The easiest way to determine the political leanings of any candidate is probably to look at who’s contributed directly to the candidate’s campaign. This won’t easily answer questions about non-campaign spending – that spending made by interest groups working for or against specific issues of candidates – but a visit to the state’s Political Disclosure Commission’s website can be enlightening. In the online voter’s guide, too, there are links to “Who donated to this candidate’s campaign?” that provide the same details. The Griffin area is within District 3 and this seat is our district’s commissioner. We choose, in the primary, what candidates are promoted to the General Election. But, in the General Election, all voters in the County will be eligible to vote for the Commissioner. Bud Blake, Independent, was elected to the seat in November 2014 and he is running for re-election. Tye Menser, Democrat, is running to unseat Blake. Both candidates have extensive lists of endorsements and additional information on their campaign websites. By clicking on any candidate’s name here, you will be taken to that candidate’s website. Jon Tunheim, a Democrat and Steamboat Peninsula resident, is looking to retain his seat for another 4-year term. Victor M. Minjares, also a Democrat, is the challenger. This November we’ll see four initiatives on our ballot. And one of those “Advisory Votes” required by law, but which do not carry the force of law. The requirement to hold advisory votes came about through an initiative (I-960) approved by voters in November, 2007. The online voter’s guide contains a good deal of useful information about each of the initiatives. There you will find a link to the full text of the initiative, an explanatory statement, fiscal impacts, and official arguments for and against each initiative. It’s important that voters realize the importance of this this initiative removes de facto immunity enjoyed by law enforcement in Washington, when deadly force is used. That immunity from prosecution is replaced with a so-called “good faith” standard. It also requires independent investigations of police who use deadly force. The website at https://www.deescalatewa.org/ provides information in favor of the initiative. I have been unable to locate a comprehensive website representing arguments opposing the initiative. However, voters should know the Washington State Fraternal Order of Police agreed to restrictions on the use of deadly force, and some of the ideas contained within I-940. But the FOP ultimately announced it opposes I-940. The history for this is confusing. It has to do with steps taken by the Legislature. The State Legislature passed a bill, HB 303, which was signed in to law this last Spring. You can read that law here and the FOP has said it supports HB 303. The Legislature had expected the passage of HB 303 would ensure I-940 would never make it to voters. A court challenge, however, put the initiative on the ballot, even after a compromise law was passed. The Washington State Supreme Court ruled the passage of HB 303 didn’t follow the law. In its ruling, the Court said lawmakers only have three options when an initiative is qualified for the ballot: approve a competing ballot initiative; reject the voter’s initiative; or amend it, in which case voters have to make the final decision between the original initiative and the amended version. In passing HB 303, the Legislature didn’t choose any of these options. So the Court voided HB 303 and cleared the way for I-940 to appear on the ballot. The Griffin Neighborhood Association and Cooper Point Neighborhood Association have teamed up to bring westside residents two nights of candidate forums this next week. Each forum will be moderated with moderators posing questions to the candidates. Candidates in the following races have been invited to participate. However, not all candidates have yet confirmed they will attend. Click on the candidate names to browse to their campaign web sites. We are pleased to join with our neighbors on Cooper Point to present this important election season event. An interesting development is now underway with the formation of a citizen’s group to advocate for Public Power – the distribution and generation of electricity by our county’s own public utility, Thurston PUD No. 1. Currently a water utility, Thurston PUD has grown a great deal over the last seven years. We have a staff of 11 to 12 people and operate water systems in Thurston and four neighboring counties. Going electric requires a county-wide vote in the general election. The citizen’s group, Thurston Public Power Initiative, was established by Thurston County residents to accomplish this goal by petitioning our county’s registered voters to place the issue on this November’s ballot and to campaign for its passage. Their first task is to submit the petition language to our county auditor for approval and collect nearly 12,000 valid Thurston County signatures to place the issue on the ballot this fall. Their deadline to accomplish this is early July. In 2008, a similar citizen’s group in Jefferson County (Port Townsend area) succeeded in passing a county-wide vote and the Jefferson PUD will soon be entering a three year transition to take control of its electrical service at the end of March 2013. Similar ballot measures that same year failed in Island and Skagit Counties. This proposal is not new to Thurston County. It first came about with the formation of our own public utility district (PUD) in 1938. The long period of court battles that ensued failed to bring the PUD into the electrical business. Several more attempts were made up to the early 1960’s when one of two supportive commissioners died suddenly, leaving the other hopelessly deadlocked with the third commissioner. Future elected commissioners later overturned the entire effort. During our PUD’s first 23 years the issue went before the Federal Court and involved several other county PUDs’ attempt to take over Puget Power as well as another private utility. The last eruption 50 years ago even sparked a highly polarized dramatic debate in the state Capitol and led to the removal of the pro-public power and long time Speaker of the House, John L. O’Brien by defections from within his own Democratic Party. Why the current interest in publicly controlled power? Our current Investor Owned Utility (IOU) Puget Sound Energy is no longer a publicly traded company with US shareholders. It “went private” three years ago and is now entirely foreign-owned and -operated (though nominally registered in the state of Delaware as a US company). Its new owners are an Australian Investment Bank and Canadian Pension Funds. Their mutual interest in owning our state’s largest private utility comes as no surprise, since Puget Sound Energy is one of the largest consumers of the Canadian Natural Gas Fields located in Western Canada. The resulting match-up along with the existing pipelines could be characterized best as a vertically integrated conglomerate (single ownership of the gas fields, pipelines and the consuming utility). That is where we are today. I ran for office over three years ago on a platform that including having our PUD commission a feasibility study on whether we should enter the electrical business and how best to pursue this option. I was elected with over 60% of the vote. It is now time to act on this issue and give our citizens a clear appraisal of its prospects. At our January 10 meeting, I will ask our PUD to commission an independent feasibility study to determine whether we should enter into the electrical business and via what process taking into account our current economic climate. One of the subjects the study will consider is the finite resources of federally-controlled hydropower and our ability to access it before its capacity is all spoken for. In the future, electric utilities will be more and more involved in our citizens’ transportation choices. Most car manufacturers are fully aware of and working toward this. As demand and cost of generation rises, so will electric rates. Public power provides the opportunity for greater citizen oversight and local control of this resource that is so vital to the overall economic health of our community. 3) Removal of the over 10% return (profit) paid to private utility shareholders as regulated by the Utilities and Transportation Commission, the regulator of all private utilities in our state. All users – residential, industrial, commercial, and government – would benefit from the historically lower rates of publicly-supplied electricity. One of the greatest benefits of rate relief would go to the commercial and industrial business owners who provide jobs in our county. They are currently unable to take advantage of the small farm/residential exchange subsidy from BPA, so their rates will be most favorably impacted in a transition to public power. Cheaper rates to all forms of government could also lead to additional savings for all our citizens, helping to retain spending on government employment, which is an important sector of our local economy. Improved system maintenance and operation of our electric utility could provide better overall service without the prolonged seven to ten day long storm-related power outages that leave our most vulnerable citizens helpless – often in the coldest and wettest months of the year. Expansion of locally-based union linemen would bring jobs to our county, assure greater system reliability and shorter down time, and be better able to maintain the grid. Our insistence on using quality (instead of second-hand) components will also drastically reduce the number of currently all-too-common power outages due to equipment failure or blown transformers. Finally, there are great changes underway as to how electrical energy will be delivered in our future. A decentralized electrical grid composed of local renewable energy generation as part of people’s homes, clustered development, and community-based initiatives could lead us closer to a sustainable future. I believe strongly in a more sustainable future and I have been involved directly in our County’s Sustainability Initiative as the chair of the water panel. More and more, the issues of how our energy is produced, and how far away it is produced, will determine what rates we will pay and what kind of future we will share. Isn’t it time that we, citizens, as electric consumers, have a voice in those decisions being made on our behalf? The decision is in your hands. Chris Stearns, a resident of Thurston County since 1976, is a Thurston PUD. Commissioner and was elected to his first term in 2008. Public Disclaimer by Chris Stearns: The views contained in this article reflect my own personal opinions and are not necessarily those of my fellow PUD Commissioners, nor do they reflect the official position of Thurston PUD No. 1, which is a water utility at this time. This article reprinted without permission from Works In Progress, January 2012. November’s General Election is Just Around the Corner – Here Come the Initiatives! It’s that time again, when the minds of engaged citizens turn to the upcoming General Election. “But,” you say, “it’s an off-year election! 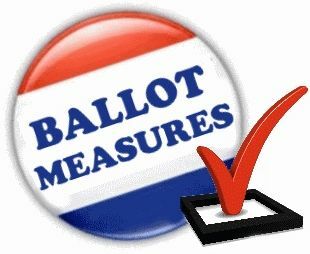 What could there possibly be on the ballot that I could find engaging?” The answer is, “Just enough.” As has been the case in nearly every election in recent years, the measures – three initiatives and two amendments to the state constitution – give us reason to spend time doing a little extra study. Click here for the Statewide Online Voters Guide. There you will find the official titles, descriptions, financial impact statements, and official statements for and against the Statewide Measures. The State Treasurer states that bonds secured solely by toll revenue will become prohibitively expensive if the Legislature sets tolls, thus eliminating this financing tool for transportation projects. Among the intents of this initiative is to remove the setting of tolls from local commissions and place it in the hands of the state legislature. The Treasurer is of the opinion that this will reduce the reliability of toll-setting – tolls set by the legislature may be changed by the legislature – and that instability in income will cause bond issuers to charge prohibitively high interest rates. “Because investors in toll revenue bonds see the independence of toll-setting bodies as a critical credit characteristic, no other toll revenue bond issuer in the nation sets tolls subject to legislative approval,” according to an analysis by the Public Resource Advisory Group. However, supporters argue there’s no difference between a toll and a tax. Initiative 1053, passed last year with a 64% vote, requires a super-majority of the legislature in order to enact increases in taxes and many kinds of fees. Supporters see this new initiative I-1125 as just a way of closing a loophole. Initiative Measure No. 1163 concerns long-term care workers and services for elderly and disabled people. Didn’t we already vote on this? Pretty much, yes. In 2008, voters passed Initiative 1029, which required federal criminal background checks and increased training for the long-term workers who assist seniors and people with disabilities. However, in response to budget pressures, the legislature reduced training requirements and delayed criminal background checks. I-1163 seeks to restore the background checks and training. Current law requires increased mandatory training, background checks and certification for long-term care workers, depending on worker classification, beginning Jan. 1, 2014. Initiative 1163 would require the training, background checks and certification for long-term care workers to begin Jan. 7, 2012, but delay these requirements for community residential providers until Jan 1, 2016. For the long-term in-home care program, administrative costs are capped and performance audits with additional fraud investigators are required. Over six fiscal years, costs are estimated to increase $31.3 million and revenue from the federal government and fees is estimated to increase $18.4 million. Opponents argue that the cost of these background checks and training will require the state to either raise revenues or, more likely, to cut services to the very people I-1163 intends to benefit. Initiative 1163: Why no funding source, SEIU? Initiative Measure No. 1183 concerns liquor: beer, wine, and spirits (hard liquor). This is Costco’s effort to take a do-over after I-1100 failed to win voter support last year. Readers will recall that was one of two related initiatives – the other was I-1105 – which failed to pass. If approved by voters in November, the measure would require the state to close its 300-plus stores and sell off its liquor distribution center, while making Washington grocery stores with over 10,000 square feet (or approximately 1,500 stores) eligible to sell hard liquor. Opponents say I-1183 will benefit big-box stores over smaller outlets, will increase liquor consumption and will drive up the cost of liquor, through increased taxes. 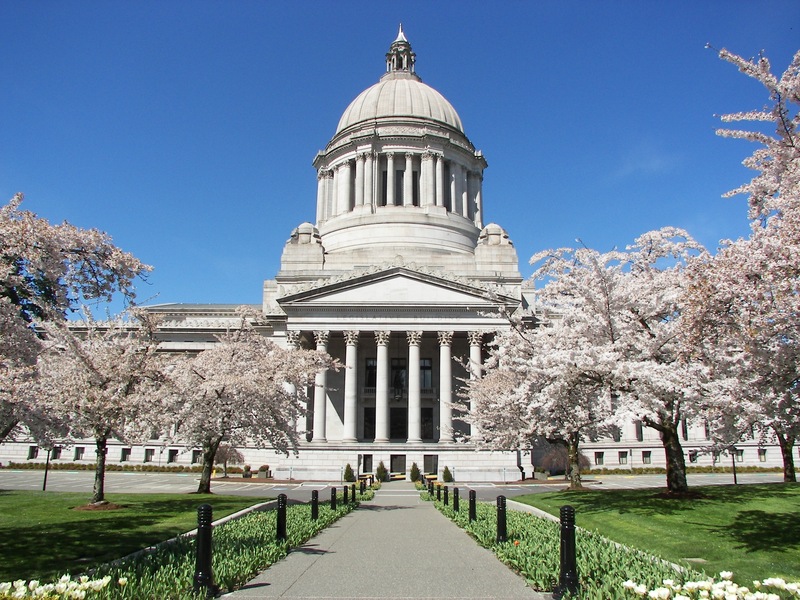 Senate Joint Resolution 8205 would remove an inoperative provision from the state constitution regarding the length of time a voter must reside in Washington to vote for president and vice-president. One portion of the Washington Constitution allows a citizen to vote in all elections after they have resided in the state for 30 days. But, another section in the Constitution requires 60 days residency before they can vote for President. SJR 8205 fixes this conflict to allow the shorter 30 day voter residency requirement is the constitutional standard for all elections in the state, including the presidential election. There is no official statement against this measure, on the Online Voters’ Guide. In 2007, voters approved the creation of a constitutionally-protected rainy day fund that requires state government to set aside 1% of revenues annually for hard times. SJR 8206, a bipartisan measure, strengthens this fund by requiring a portion of “extraordinary” revenue – that which exceeds 133% of historical average growth – be saved, rather than spent. 8206 requires more than the 1% that voters approved – it would also require that “extraordinary revenues” go into savings. While it sounds like a good idea to save more – the result is people paying taxes and getting nothing for it, except a bigger savings account. So, there they are. Your 2011 statewide measures. What arguments are you finding particularly compelling? What resources are you finding to help you to come to an educated opinion regarding how you will vote? Leave your comments here, join us on our Facebook Page or on the GriffinNeighbors online discussion group. Some local voters were surprised to find, when their ballots arrived in the mail last week, that a Technology & Capital Projects Renewal Levy, for the Griffin School District, appears on the ballot. The campaign signs went up, around the peninsula, this last weekend. And now we have a copy of GriffinLink, the district’s community newsletter, to help explain what’s up. Click here to download a copy of the portions of GriffinLink which describe the Technology & Capital Projects Renewal Levy. Perhaps the most important point to make, right up front, is that this is a renewal of an existing levy, and not a new levy. 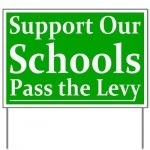 In November 2008, local voters approved a Special/Capital Projects Levy. 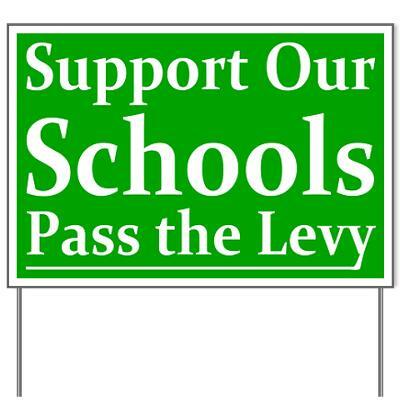 The Renewal levy on this latest ballot is a $550,000 dollar a year levy for four years. The Technology & Capital Projects Renewal Levy was approved by the School Board this last July. Of nine other local school districts compared, Griffin’s levy and bond collection rate is lower than seven districts. Funds from the levy will go to technology and technology infrastructure replacement and improvements at Griffin School. Also, these funds will help our school district to pay their portion of the Capital High Technology Program. Review the details behind the Levy and the questions and answers provided in the lastest issue of GriffinLink. 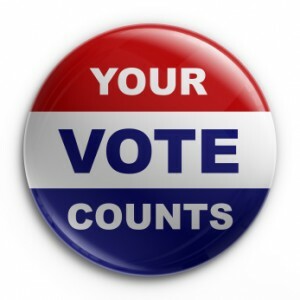 Don’t forget to fill out your ballot and get it mailed – or, better, just out it in the ballot dropbox, in the parking lot of the main Griffin Fire District fire station – by Election Day, November 2nd.